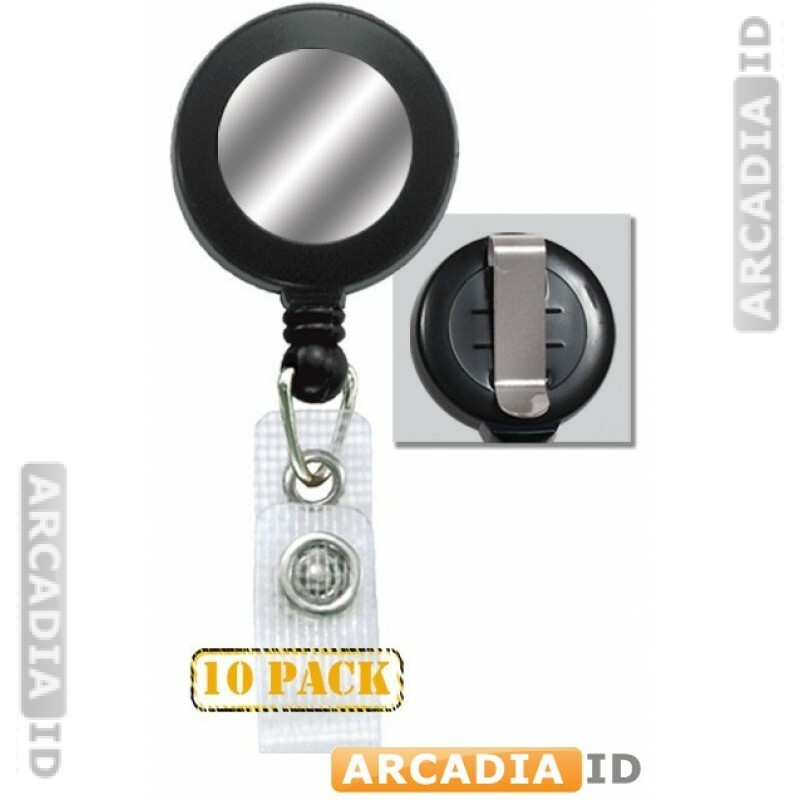 10 black reinforced belt clip badge reels with silver stickers. These attach easily to a pocket or belt and provide easy access. 32mm. Browse the rest of the site for different types of belt clip in a range of quantities.